Today’s topic for BEA Armchair is where I nail my colours to the literary mast. The question is: What fictional genre do you most love – or hate? The answer for me is quite simple: I’m a realist fan to the core. In a bookstore or library, I steer well clear of shelves categorised as ‘romance’ or ‘ science fiction’. I know they have a huge fan following but they leave me completely cold. I read some romance stuff when I was younger, usually because it was lying around in a friend’s house and there was nothing else to read or because someone in school said “you must read this’. But it all feels like the same story just with different character names and locations. 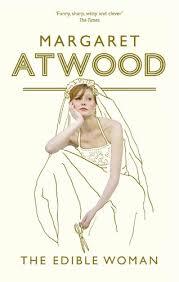 Any book that has a cover like this has me running in the opposite direction. It’s not that I have an aversion to good looking men but those rippling muscles didn’t get there by accident. He’s going to be spending so many hours at the gym he’s hardly likely to have time to spare for me is he? And if you’ve watched any of these guys in the gym, you’ll know that they like nothing more than standing in front of the mirror admiring their muscles. I want to read about real people, the kind that I could conceivably meet in the street. They have real sounding names (ones that authors have spent considerable time agonising over so they sound authentic) and do ordinary things – they are not always flying off to some exotic destination to fix world hunger or solve the Middle East crisis but instead have to do the supermarket run or worry about their ageing mum and the cost of healthcare. They have real problems, and real concerns. The kind of books I want to read are ones I can relate to, not because I know that part of the world where they are located, or because I have experience of the culture of the central characters. But because they engage my interest in things which are common to us all as humans – to use a phrase from one of my favourite films Shadowlands: “We read to know we’re not alone”. That doesn’t mean my favourite kind of reading is always about portentous issues or the style is sombre. One of the best reads for me this year so far has been Broken Glass by Alain Mabanckou – a very funny novel about a bunch of characters in a dilapidated Congolese bar. They’re no hopers who have an exaggerated sense of their own importance but as much as we laugh at them, there is a part of their story which makes us realise that their own experience might easily have been ours. Anyone with more than a passing interest in studying literature will not get too far into the subject without encountering Terry Eagleton. Former professor of literature at Oxford university, currently at Lancaster University and Notre Dame, he’s the author of some forty books on literary theory and criticism. So what is a man considered by many to be the UK’s most influential living literary critic and theorist, doing writing an extended analysis and interpretation of the eighteenth century nursery rhyme Ba Ba Blacksheep in his latest book How to Read Literature? Might there be some hitherto unknown political significance to this rhyme revealed by Eagleton’s Marxian view of literature? Or a social comment about racial tensions uncovered by a post colonial reinterpretation? The simple answer is no. Eagleton’s analysis is far more entertaining than either of these approaches. 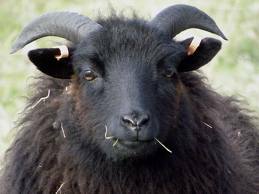 In his analysis, the rhyme becomes a hilarious encounter between a rude man and a sheep with a chip on his shoulder when he (or maybe she) isn’t afforded the normal courtesy of being addressed by name. Deeply entertaining yes. But Professor Eagleton does have a more serious point to make — that literary works lend themselves to multiple interpretations with the ‘meaning’ depending on the reader’s own perspectives. Nor is the ‘meaning’ fixed in time and. Rather ……. Literary works may best be seen not as texts with a fixed sense, but as matrices capable of generating a whole range of possible meanings. They do not so much contain meaning as produce it. 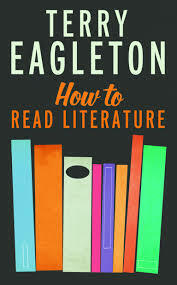 In How to Read Literature, Eagleton shows how readers can get a deeper understanding of literary works by closely examining aspects such as tone, ambiguity, syntax as well as the formal aspects of character and narrative voice in five sections “Openings”, “Character”, “Narrative”, “Interpretation” and “Value”. He ranges far and wide across different texts, taking in poetry, drama as well as novels, providing insights into a large range of authors as diverse as Shakespeare, E M Forster and J K Rowling. The introduction describes How to Read Literature as a text for students new to the study of literature as well as people who want to deepen and enrich their reading experience. To fully appreciate it, does require a fair knowledge of different works of literature but Eagleton never gets so far into dissecting a particular text that you feel overwhelmed. It would be a great companion read to that other classic, David Lodge‘s Art of Fiction. My copy of How to Read Literature, published earlier this week , was provided by NetGalley. Last week’s Sunday Salon was about the experience of acquiring books to read – and the merits of browsing randomly for interesting novels versus searching for ones to tick off our TBR lists. This week, an email from the Writers and Artists Team at Bloomsbury Publishing got me thinking about the experience of actually reading . A quick trawl through the blogosphere shows how practices and habits differ. Some people seem to be serial readers, actively seeking out the next title from their favourite author or the next that features the same central character. Some read according to categories (historical fiction, classics, fantasy etc). Then there are those who read multiple texts in parallel and those who prefer to read only one at a time. read with focus, read with awareness and read effectively. Setting – where and when is it set? How does the author convey the setting? Which senses are being used? Perspective – who is telling the story? Are they a reliable narrator? How does their relationship to the story affect the way it is presented to the reader? Character – who are the key characters? What are we explicitly told about each character and what are we subtly shown? Focusing on the key characters, what are their motivations? What obstacles do they face? Structure – does the story unfold linearly or does it jump about in time? How does this affect our understanding of the events? Mark the points of crises, tension, climax and the final dénouement. Style – how are the sentences constructed? Are they short and punchy or long and carefully embellished? How does this impact on the pace? to be a more detailed guide , particularly the sections dealing with techniques such as showing and telling, point of view, and time-shifting. Having said that, I’ve come to realise this week that I never consciously think about any of this when I am reading. Most likely I have missed a lot of the richness of meaning as a result. So I’m making a mental note to think more about what I’m reading – it might mean slowing down the pace at which I read but that’s ok. I’m not in a race….. I seem to have spent a fair amount of time this week listening to podcasts from a variety of universities and radio stations. They’re perfect for lightening the deeply boring experience of ironing but I also enjoy listening them while on the cross trainer in the gym. What I’ve found however is that the quality can vary enormously, particularly those which are real-time recordings of university lectures. This is a rich mixture of interviews with leading authors and commentary on developments in the publishing world. Of those I’ve listened to so far, the most memorable have been a walking tour of Oliver Twist’s London – you can listen to this while actually walking through the streets in which the novel is set. The two presenters reflect on how the area has changed and give fascinating background about some of the buildings – in one section we are given an explanation of how prisoners were made to walk up to eight hours a day on a treadmill which served no useful function but was there merely to keep them occupied. The commentary is intersposed with readings from the book. Highly recommended. The second I enjoyed was an episode with Michael Frayn who talks about the background to his book Spies which features two young boys who play at hunting down spies in their London neighbourhood and take to following the mother of one of them. But what they think they discover and what is actually happening are two very different things. Frayn is an excellent raconteur and talks with good humour about his own childhood and how that informed the book. This is a series of first year undergraduate lectures designed to introduce us to Eliot’s view of the world and how this was reflected in her novels. Eliot had a huge intellect and was keenly interested in science, especially Darwinism, and humanism. The lectures look at Eliot’s view of the intellect and consciousness. Nine podcasts which dive into topic such as ‘The nature of the reader’; ‘Nature and the Imagination’ and ‘The Pastoral’. Each lecture is delivered by a different specialist and is designed to help undergraduates acquire the skills needed for literary criticism. Ive only got as far as the first one about The Reader so far – the quality is excellent though many of the ideas are quite hard to grasp. Apparently my knowledge of Booker prize winners is somewhat unreliable. In my last post I commented that no-one has won the prize twice. Fortunately Laura at http://completebooker.blogspot.co.uk/ is considerably more clued up and tells me that in fact two people have achieved that honour. J M Coetzee won in 1983 (Life and Times of Michael K) and again in 1999 (Disgrace). Glad that someone could help me set the record straight.